In Japan, the onset of spring is welcomed with the longstanding tradition of hanami, a celebration of the season’s new flowers – notably, the cherry blossom (the hanami season is also known as a “cherry blossom festival”). The fleeting hanami period – cherry blossom trees, or sakura, only bloom for a week or two – is a centuries-old tradition dating back to the 700s, and today involves parties and picnics being held beneath the sakura blossoms. 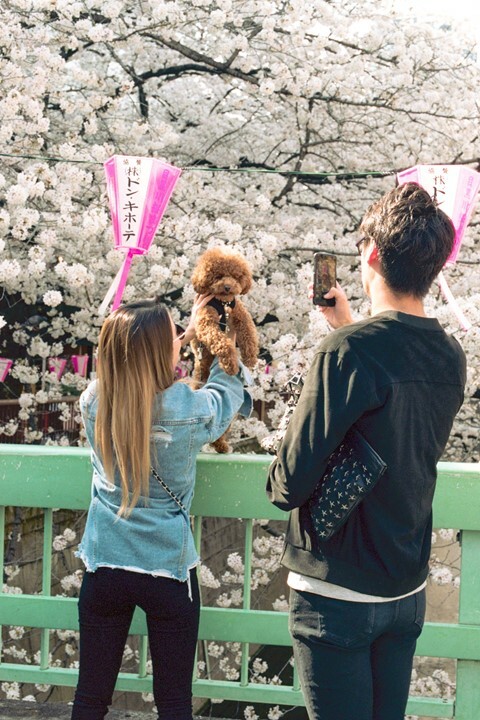 And with the events surrounding hanami season comes the requisite documentation: as people descend on Japan’s cherry blossom-filled parks with cameras in hand – sometimes travelling from across the globe – Instagram feeds are also flooded with the saccharine sakura pink. 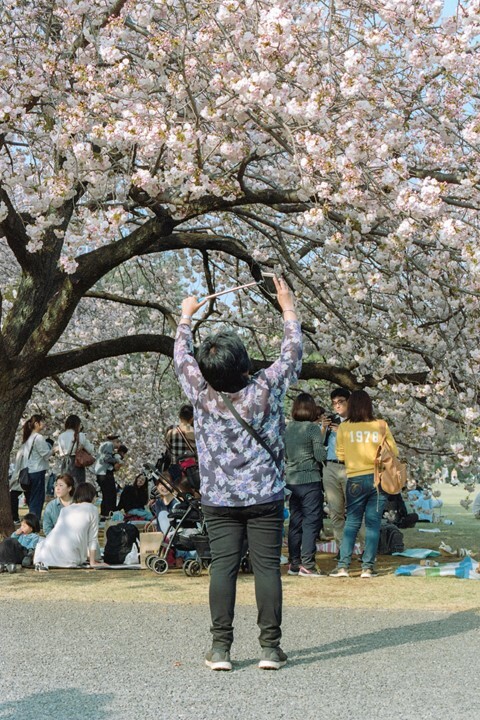 For Austrian, Tokyo-based photographer Sybilla Patrizia, this phenomenon proves fascinating year on year; State of Glory is a new book of photographs by Patrizia of people posing among the sakura in some of Tokyo’s most visited blossom hotspots, like Shinjuku Gyoen National Garden. Patrizia observed the frenzied hanami season, and noted “the excitement that was filling the air and putting the whole country in some sort of state of intoxication”. Her playful images capture a variety of people as they get their own blossom shots: some taking selfies, nestled in among the branches, and other posing proudly (or even hoisting a pet into the frame). State of Glory by Sybilla Patrizia, with an essay by Karoly Tendl, is out now.